Gojira851 reviews the Gigantic Series Yuji Sakai Modeling Collection Godzilla 1999 based on Godzilla 2000: Millennium. ASciFiBuff unboxes the Gigantic Series Godzilla 1962 North American (Diamond) Reissue vinyl figure. YouTuber Bat Chain Puller unboxes the Gigantic Series (Shin) Godzilla 2016 (ギガンティックシリーズ ゴジラ(2016)第4形態 ショウネンリック) RIC Exclusive Version vinyl figure by X-Plus. 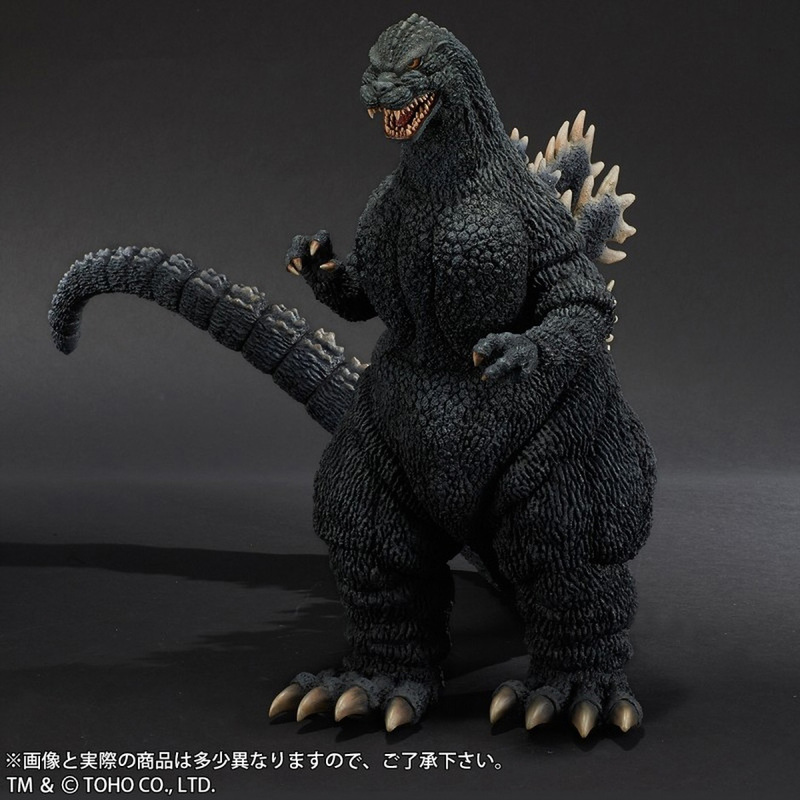 Rich Eso reviews the Gigantic Series Godzilla 1964 (ギガンティックシリーズ ゴジラ(1964) ショウネンリック限定版) RIC Exclusive Version vinyl figure by X-Plus. X-Plus collector “Mr. 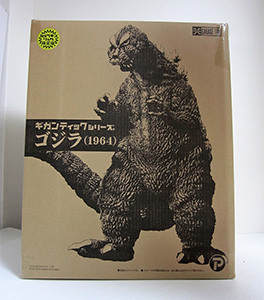 Green Tea” has posted a quick photo review of the Gigantic Series Godzilla 1964 on the Rakuten Blog site. It’s in Japanese, but if you use Google Chrome, you could get it translated automatically for you. Not that you really need it. His reviews are usually photo based with very few comments. I’d like to advise you to be aware that there is significant lens distortion in his photos. There appear to be wide angle and so any portion of the figure which nears the edge of the photo will appear larger than it really is. Because of this you’ll see many photos showing an overly large head. Don’t worry, that’s just the distortion talking. It’s still early, so any photos at this point are very welcome. Plus you’ll get to see how the jaw on the RIC version swops out, and a size comparison with the Gigantic Series Godzilla 1995. Don’t forget to bookmark his space on that blog. He semi-regularly posts X-Plus reviews and his is usually one of the first to be available. You can see his review here. 1madzilla unboxes and reviews the Gigantic Series (Shin) Godzilla 2014 Fourth Form standard version vinyl figure by X-Plus. And the wait is over! 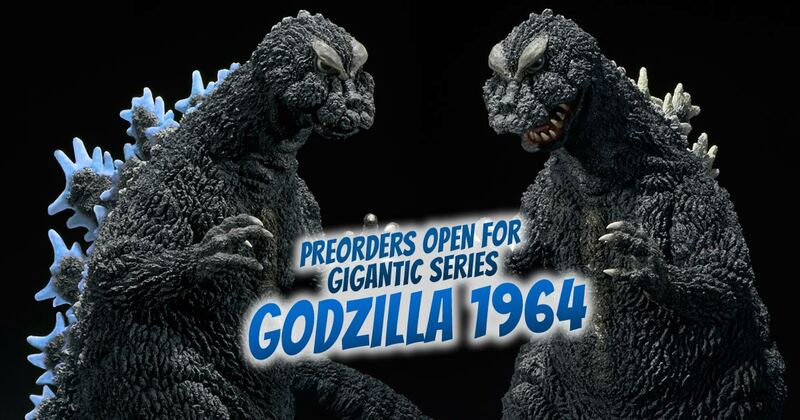 Preorders just opened for the X-Plus Gigantic Series Godzilla 1964. There are two versions to choose from. Click “Read More” for photos, details, prices and links.